Green Cameroon, a non-governmental organisation (NGO), founded in 2003. Preserve. Maintain. Sustain our environment! Green Cameroon is an NGO with environmental protection and conservation being its main domain of interest. 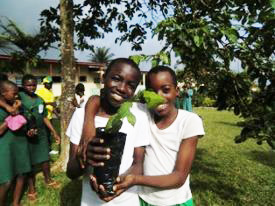 The mission of Green Cameroon is to ensure sustainable development and a better planet for our children, by addressing major environmental and sustainable development issues identified in our communities. 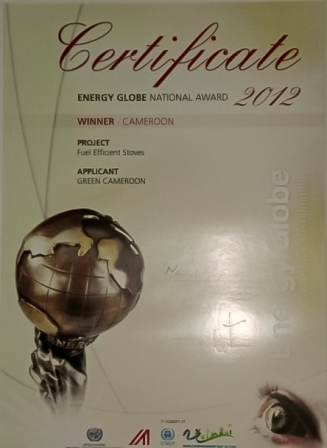 Green Cameroon is a small NGO in Buea that works towards environmental protection. It was founded in 2003 by a group of young Cameroonians who felt concerned about the level of environmental degradation and lack of interest and awareness on environmental issues that prevailed at the level of the population of Cameroon. Green Cameroon was founded with a mission to conserve Cameroon’s rich biodiversity by working on practical solutions to solve nature conservation problems. We pay close attention to sustainable development, rural community livelihood and contemporary environmental issues. 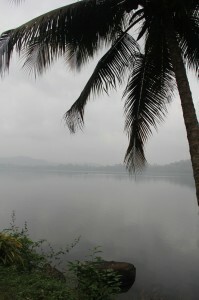 This NGO in Buea, South-West Region, was formed with a strong commitment to fighting for environmental protection in our communities on issues like deforestation, desertification, unsustainable farming practices, improper waste management and waste disposal methods, water scarcity, health problems linked to sanitation and general lukewarm attitude towards environment and nature conservation issues. Green Cameroon helps local community members to live better lives by improving on living standards alongside making scarce resources available for posterity. We work on promoting the exchange of good practices including indigenous practices used to address drought, desertification, floods and erosion. we are also interested in promoting initiatives for sustainable use and management of forest and other land resources with the involvement of local communities. Have a look at our current Projects! The office of Green Cameroon is located in Buea Town, on the slopes of Mount Cameroon. Buea is the capital of the Southwest Region of Cameroon. The city is located on the eastern slopes of Mount Cameroon and has a population of around 100,000 citizens. 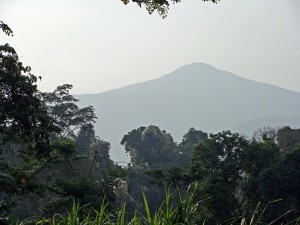 Mount Cameroon is one of Africa’s largest volcanoes, rising to 4,090 metres (13,255 ft) above the coast of west Cameroon. It rises from the coast through tropical rainforest to a bare summit which is cold, windy, and occasionally brushed with snow. Mount Cameroon is also known as Cameroon Mountain or Fako (the name of the higher of its two peaks) or by its native name Mongo ma Ndemi (“Mountain of Greatness”). Habitat loss and hunting of native fauna and flora are the principal threats to the Mount Cameroon ecoregion. Habitat loss is caused by the unsustainable exploitation of firewood, overgrazing, fire damage, agricultural encroachment and collection of medicinal bark (Prunus africana). On the eastern side of Mount Cameroon it has been estimated that up to half of the forest cover has already been lost (Stattersfield et al. 1998). With the constant increase in population observed in this area, there is a steady loss of forest cover caused by the population’s huge demand for wood and other logging activities. We, from Green Cameroon, think that loss of forest cover goes along with loss of biodiversity which in the long run can lead to severe land degradation problems.